UP's LTN-79 train works at Belgium on the way to Sheboygan. 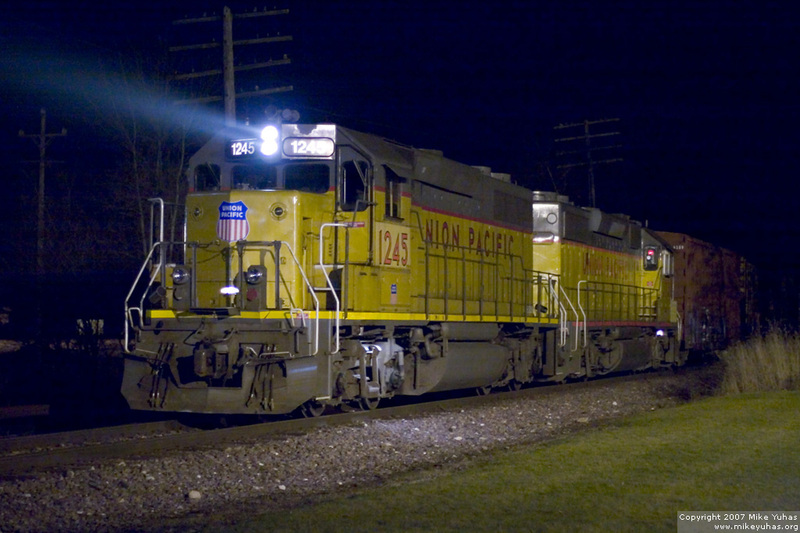 Power tonight is typical: a GP39-2L and a GP38-2L. A couple dozen miscellaneous cars trail.